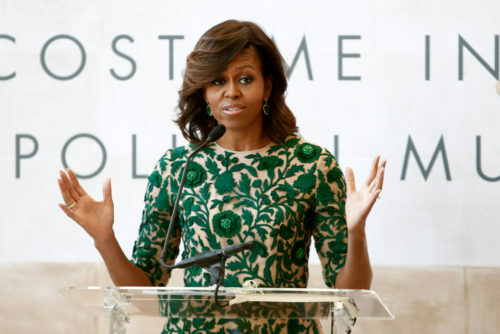 Former First Lady Michelle Obama is touring to promote her memoir, Becoming, and during a recent appearance in London, she set tongues wagging with an incredibly apt description of President Donald Trump. Obama was interviewed on stage by late night host Stephen Colbert. About 15,000 people attended the event. While she didn’t mention Trump by name, it was clear that she was juxtaposing the current president with her husband’s tenure as the leader of the free world. “For anyone who had any problems with Barack Obama, let’s just think about what we were troubled by – there were never any indictments,” she said. She also said the world is in “a dark place” before a better future and offered the audience some self-care tips.